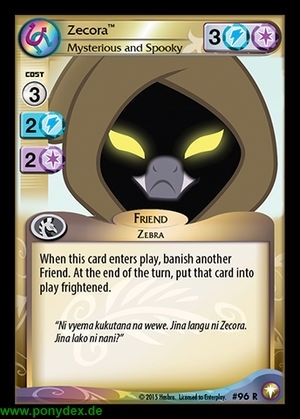 When this card enters play, banish another Friend. At the end of the turn, put that card into play frightened. "Ni vyema kukutana na wewe. Jina langu ni Zecora. Jina lako ni nani?"